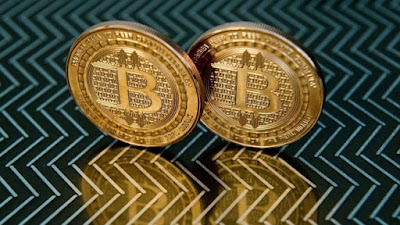 A new version of Bitcoin has been mined for the first time in the crypto-currency's history. Bitcoin Cash is the result of months of debate and development over how the currency would continue to evolve. Fears of large swings in the value of Bitcoin have so far not been realised - but some exchanges are still adapting to the new currency. One expert said the process had gone smoothly so far and pointed out that trade in Bitcoin Cash seemed "robust". Bitcoin Cash was developed as a measure to increase the capacity of Bitcoin's underlying technology, the blockchain - a digital ledger that records every single transaction. Because the old blockchain could only have one megabyte (MB) of data added to it every 10 minutes, transactions have come to be processed at slower rates. Bitcoin Cash blocks can be as large as 8MB, which its proponents hope will help to solve this problem. Yesterday, Bitcoin Cash was officially born when block number 478559 - at just under 2MB in size - was mined. No major issues have so far been detected following the split although a few exchanges and wallets have had minor technical issues with supporting Bitcoin Cash initially, said Dr Garrick Hileman, research fellow at the Cambridge Centre for Alternative Finance. "A market seems to be emerging for Bitcoin Cash that looks to be relatively robust," he added. The fresh-faced crypto-currency was trading comfortably above $400 (£300) about 12 hours after it was created. Bitcoin itself saw a modest fall in price on Tuesday, but was still above $2,700 (£2,000) at 10:00 BST on Wednesday. Thanks to its larger block size, Bitcoin Cash requires more computer storage space from parties wishing to take part in the process of mining. 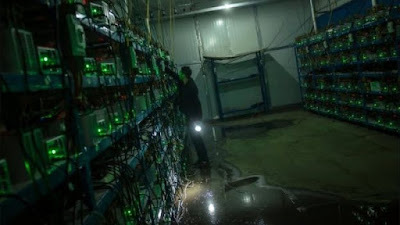 Mining involves computers being tasked with solving difficult mathematical problems in order to authorise transactions on the blockchain. Miners receive new bitcoins as a reward for this work - making it lucrative - and it has also been something open to individuals in the past, because the cost of small scale mining equipment has been relatively low. That could change thanks to Bitcoin Cash. "Bigger players with access to server farms and big budgets will have no problem running bigger nodes, but smaller operators could be squeezed out," said Dr Hileman. "Will companies dominate Bitcoin Cash more than Bitcoin? We're going to see this in the flesh now, how this will play out." And there are other issues to ponder - not least the decision by one of the biggest crypto-currency exchanges, Coinbase, not to support Bitcoin Cash. "Seriously look at Bitcoin Cash going up. If you kept your [Bitcoin] at @coinbase and are not getting any you must be pretty fed up right now," tweeted one trader who watched the split unfold. 0 Response to "CRYPTO MADNESS: Bitcoin splits as new currency takes off"